Neighbors have long been one of those touchy subjects. Most of us like having neighbors, and in most cases, people are able to get along. There are, of course, those neighbors who can make your life a nightmare. But what happens when you actually really like your neighbor, but something bad happens, such as an injury? Say you or a loved one is injured on a neighbor’s property. You probably already know you may have a legal right to pursue compensation from your neighbor, but doing so could create a real challenge if you are to continue living next to each other. Here are some legal (and practical) considerations in these situations. Do You Really Have to Sue? First, let’s dispel a myth. Many people think the only way to be compensated for an injury is to sue someone. This is typically not the case. In fact, only a small fraction of cases are resolved in court. According to BizJournals.com, 97 percent of all civil cases are settled without a trial. The reasons behind this are actually quite complicated, but the point is, if you get hurt on your neighbor’s property, there’s a good chance you may be able to resolve the matter without litigation. What Types of Claims Might You Have Against a Neighbor? 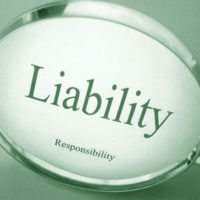 Most injuries that occur on a neighbor’s property will fall under the classification of “premises liability” claims. These are basically claims for injuries based on the theory that your neighbor did something that was negligent or failed to take some reasonable measures to provide for the safety of those on his or her property. These are generally slip and fall cases or cases involving a falling object, pool-related injuries, trampoline injuries, and so forth. Depending on the unique facts of your case, chances are you will need to file a claim against your neighbor’s homeowner’s insurance policy. How Can You Get Compensated Without Suing a Neighbor? First, you must actually be injured. If you bumped your arm and have little to no injuries, your issue should be more of a personal one. Talk to your neighbor and work it out. If you were invited over for a barbeque and your neighbor failed to mention that there were nails sticking out of the deck, leading you to suffer a costly emergency room bill and thousands in lost wages from work, then you perhaps may want to consider making a claim. Here is how an insurance claim works. First, you’ll need to document the injury, and get appropriate medical treatment. Finally, you will need to negotiate with the insurance company to settle your claim and get your bills and losses paid, including pain and suffering. This oversimplification is only intended to give you a broad overview of the process. There are actually countless loopholes and obstacles that can create real problems for you when trying to settle a claim. Ultimately, however, an experienced personal injury lawyer can open the claim, communicate with insurance adjusters on your behalf, and handle all the negotiations. This allows you to move on with life and avoid direct involvement in many cases. If the claim is handled properly by a compassionate and professional attorney, you can often avoid unnecessary disputes and quickly and efficiently resolve your claim without a lawsuit. Call the Law Offices of Todd K. Mohink, P.A. in Maryland for a free consultation to discuss your injury today.